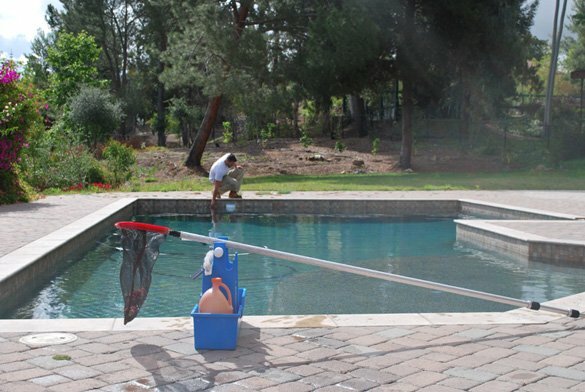 This pool service portfolio is for a customer in the Rancho Bernardo Trails and is a dark bottom swimming pool with swimming pool solar panels used to heat the water. 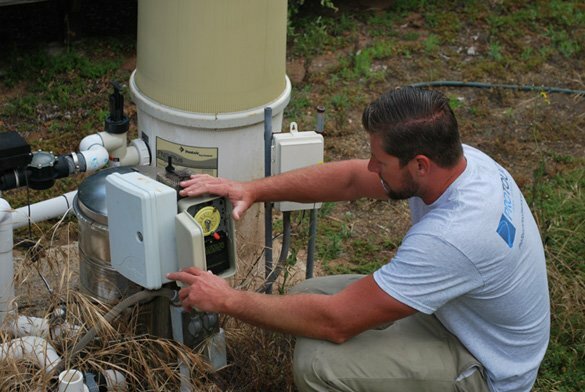 This is a pool only weekly pool service and due to it being a dark bottom and has the solar panels at work, we need to always ensure proper water chemistry and that the pool is flowing properly. 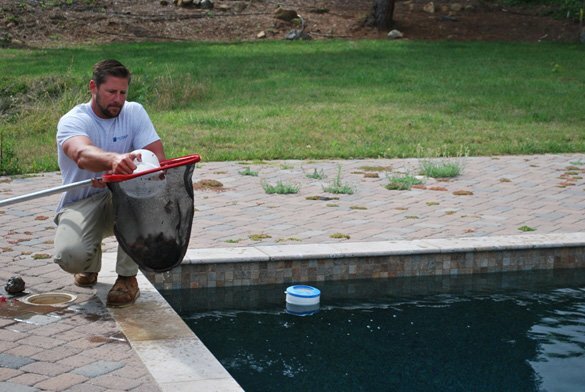 With bad water chemistry, the dark colored pool surface can be damaged causing it to lighten and look modeled or marbled. Along with if the solar panels are compromised, the solar panels may be damaged and fail causing leaks and loss of its ability to properly heat the swimming pool. 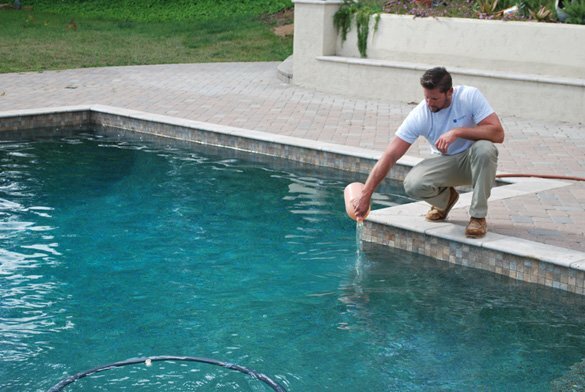 As with all weekly pool service customers, we always make sure the swimming pool is clean and safe to use and that means the waters chemistry has to be in a safe state. 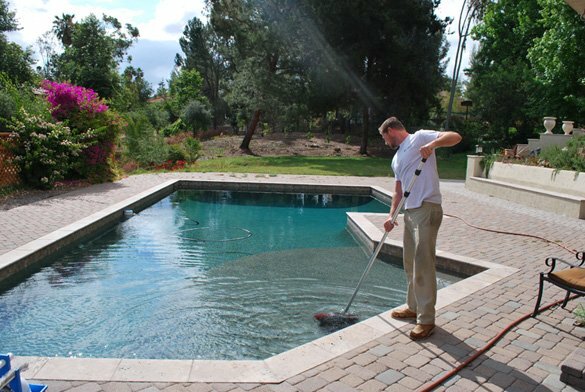 Knowing how important it is to keep the pool in its best shape possible, we follow a step by step process each and every time.